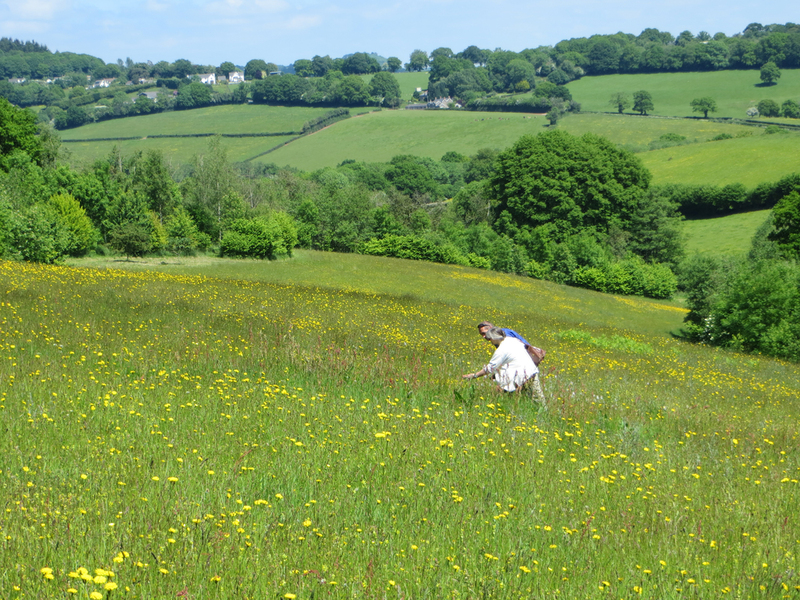 After months of work, everything is all set at this end for the BSBI's New Year Plant Hunt 2017. We're just doing final tests and tiny tweaks on the new website so please take a look and let us know if you spot any typos or misleading instructions. 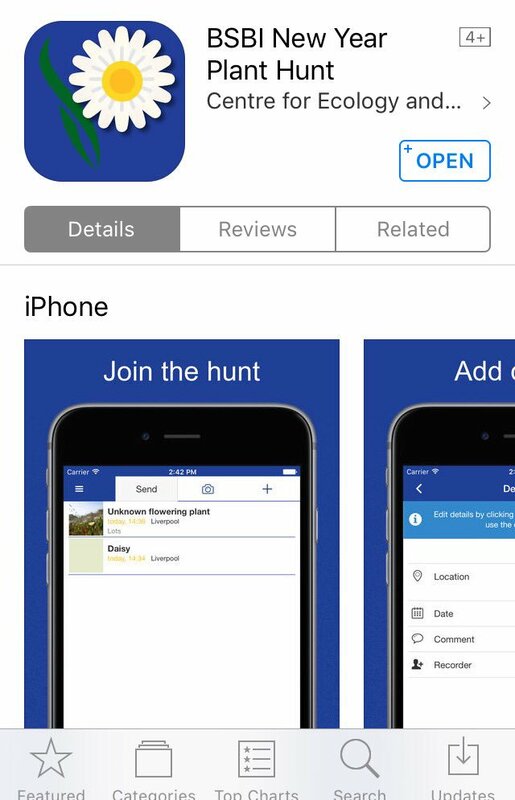 Work started months ago on the new app, and a version for mobile phones was launched at the BSBI Annual Exhibition Meeting last month. We can't thank Karolis, David and Markus, our colleagues at the Biological Records Centre/Centre for Ecology & Hydrology, enough for all their great work on this. We also needed a version for non-techies and people who didn't want to use a smartphone in the field - a BSBI recording card or a hand-written list are still the preferred options for many, and most recorders using the app on their smartphones will also have a recording card, notebook and several pencils for back-up. A Getting Started page: it explains how to submit your records once you are home from the Hunt. Clear instructions (we hope!) talk you through what to do when you click through to our simple data entry form and submit your records. A Results page: here you can find out which plants have been recorded most frequently and which recorders submitted the longest list. A front page with an interactive map showing where records have been submitted - click on a 'pin' to see which plants were recorded on each list and by whom; at the foot of the page, we'll be streaming wildflower images you've uploaded; there's a live Twitter feed which displays only tweets using the #NewYearPlantHunt hashtag (for Twittophobes who only want to know about Plant Hunts! ); and we're hoping to add a few more features if time permits. All the records on the new webpages at the moment are test records so can be ignored - they'll all be wiped on New Year's Eve in readiness for your records flooding in from Sunday morning. Do I record a plant every time I see it or just the first time? Answer: just once thanks unless you move to a new location and start a new list. Lastly, a reminder that if anybody gets stuck trying to use the app, either in the field or when you get home, there are seven of us working shifts at the end of this email address so there will always be somebody to help you if you. If it's urgent, you can always phone us on 0797 197 2529. Here's to a great New Year Plant Hunt! What is the Freshwater Habitats Trust?